I once visited with a woman who was dying from uterine cancer. She was greatly distressed, but not only from her physical ailment. She explained to me that she had had an abortion when she was a young woman, and she was convinced that her disease was a direct consequence of that. In short, she believed cancer was the judgment of God on her. The usual pastoral response to such an agonizing question from someone in the throes of death is to say the affliction is not a judgment of God for sin. But I had to be honest, so I told her that I did not know. Perhaps it was God’s judgment, but perhaps it was not. I cannot fathom the secret counsel of God or read the invisible hand of His providence, so I did not know why she was suffering. I did know, however, that whatever the reason for it, there was an answer for her guilt. We talked about the mercy of Christ and of the cross, and she died in faith. The question that woman raised is asked every day by people who are suffering affliction. It is addressed in one of the more difficult passages in the New Testament. In John 9, we read: “As he passed by, he saw a man blind from birth. And his disciples asked him, ‘Rabbi, who sinned, this man or his parents, that he was born blind?’ Jesus answered, ‘It was not that this man sinned, or his parents, but that the works of God might be displayed in him’” (vv. 1–3). Why did Jesus’ disciples suppose that the root cause of this man’s blindness was his sin or his parents’ sin? They certainly had some basis for this assumption, for the Scriptures, from the account of the fall onward, make it clear that the reason suffering, disease, and death exist in this world is sin. The disciples were correct that somehow sin was involved in this man’s affliction. Also, there are examples in the Bible of God causing affliction because of specific sins. In ancient Israel, God afflicted Moses’ sister, Miriam, with leprosy because she questioned Moses’ role as God’s spokesman (Num. 12:1–10). Likewise, God took the life of the child born to Bathsheba as a result of David’s sin (2 Sam. 12:14–18). The child was punished, not because of anything the child did, but as a direct result of God’s judgment on David. However, the disciples made the mistake of particularizing the general relationship between sin and suffering. They assumed there was a direct correspondence between the blind man’s sin and his affliction. Had they not read the book of Job, which deals with a man who was innocent and yet was severely afflicted by God? The disciples erred in reducing the options to two when there was another alternative. They posed their question to Jesus in an either/or fashion, committing the logical fallacy of the false dilemma, assuming that the sin of the man or the sin of the man’s parents was the cause of his blindness. The disciples also seem to have assumed that anyone who has an affliction suffers in direct proportion to the sin that has been committed. Again, the book of Job dashes that conclusion, for the degree of suffering Job was called to bear was astronomical compared with the suffering and afflictions of others far more guilty than he was. We must never jump to the conclusion that a particular incidence of suffering is a direct response or in direct correspondence to a person’s particular sin. The story of the man born blind makes this point. Our Lord answered the disciples’ question by correcting their false assumption that the man’s blindness was a direct consequence of his or his parents’ sin. He assured them that the man was born blind not because God was punishing the man or the man’s parents. There was another reason. And because there was another reason in this case, there might always be another reason for the afflictions God calls us to endure. Jesus answered His disciples by saying, “It was not that this man sinned, or his parents, but that the works of God might be displayed in him” (v. 3). What did He mean? Simply put, Jesus said that the man was born blind so that Jesus might heal him at the appointed time, as a testimony to Jesus’ power and divinity. Our Lord displayed His identity as the Savior and the Son of God in this healing. When we suffer, we must trust that God knows what He is doing, and that He works in and through the pain and afflictions of His people for His glory and for their sanctification. It is hard to endure lengthy suffering, but the difficulty is greatly alleviated when we hear our Lord explaining the mystery in the case of the man born blind, whom God called to many years of pain for Jesus’ glory. Christians, to support their claim of revealed truth, appeal to a book that was written hundreds of years ago. This book—the Bible—has been a subject of an enormous amount of study and criticism which has left the integrity of its trustworthiness seriously in doubt. If the Bible were universally regarded as an authoritarian source book for religious truth, many of the questions we will deal with in Reason to Believe would be easily resolved. But the authority and trustworthiness of the Bible is presently the question. It is well beyond the scope of this [article] to give a comprehensive defense of the integrity of Scripture. Such a comprehensive defense would involve so many complex matters that it deserves a separate treatment. A large number of such works have been published in recent years (e.g., F.F. Bruce, The Canon of Scripture, The Defense of the Gospel in the New Testament, The New Testament Documents: Are they Reliable? ; and Walter Kaiser, The Old Testament Documents: Are They Reliable?). But, several common questions about the integrity of Scripture are dealt with briefly here. Is the Bible Full of Myths? Why is it so often said that the Bible is full of myths? A chief reason is because of the numerous accounts of miracles that are found in its pages. Another reason is because of parallel accounts between such things as the biblical view of the flood and that found, for example, in Babylonian mythology.A third reason why the presence of myth is suspected is because there exist similarities between events surrounding Jesus and portraits of the gods found in Greek mythology. These three reasons serve as the substantial basis for attributing a mythological character to biblical literature. A question of miracle is not merely a question of literary style but it involves important questions of history and philosophy. If a miracle is rejected as a myth then the issue becomes one of the philosophy of nature and history rather than one of literary analysis. Before miracles can be rejected out of hand as ipso facto impossible, the critic must first establish that we are living in a closed mechanistic universe in which there exists no possibility of divine or supernatural intrusion. On the other hand, if there is a God who is omnipotent, then miracles are possible and accounts of them cannot be gratuitously dismissed as myths. If we allow that miracles are possible that does not mean that every claim to them is valid. It is one thing to say that miracles could have happened; it is quite another to say that miracles could have happened; it is quite another to say that they did happen. As we deal with the question of an alleged miracle we must deal with it not only on the grounds of the possibility, but on the evidence that is offered to support its claim. One of the interesting elements of biblical miracles involves the sobriety of the accounts. Compare, for example, miracle narratives of the New Testament with those found in the Gnostic literature of the second century. The Gnostic “miracles” display a flavor and atmosphere of the bizarre and frivolous. New Testament miracles take place in a context of a sober view of history and redemption. Those who claim them are men of obvious profound ethical integrity and men who are willing to die for their veracity. When evaluating the claims of biblical miracles it is important to understand the total value system of those who are making the claims. The biblical writers, in the Judeo-Christian tradition, write with a constraint that involves a profound commitment to the sanctity of truth. Peter for example writes, “We do not declare unto you cleverly devised myths or fables but rather what we have seen with our eyes and heard with our ears” (1 Peter 1:16). Because there are parallel accounts of ancient events found in the Bible as well as in ancient mythological literature, this is no justification for impugning the writers of Scripture on the basis of the fallacy of guilt by association. If we assume, for example, that there was a natural catastrophe such as the flood in the ancient world, it should not surprise us that the event is reflected on the writings of other ancient people. The Christian welcomes a close study of comparison between the biblical account of the flood and that found, for example, in the Gilgamesh Epic (The Babylonian account of the Flood that covered the earth). That the biblical account is already demythologized appears self-evident. The charge that the New Testament surrounds the person of Christ with mythology is often inferred from similarities of dying and rising gods in Greek mythology such as fond in Ovid’s Metamorphoses. However, in a comparative examination of any object or event under analysis the scientific method demands that we note not only the similarities but the differences as well. Mythic creatures that are half man and half beast, for example, are noticeably absent from the Scriptures. Bizarre stories about the creation of the universe are also conspicuously absent. The world, for example, is nowhere described in Scriptures as an appendage of a god; nor do we see notions of the world coming into being as the result of sexual acts of procreation among the gods. Though Jesus is virgin born, He does not spring anew out of the head of Zeus. At the heart of the difference between Greek mythology and biblical literature is a radically different view of the significance of history. For the Greek there is no overt attempt to ground myth within the framework of history. Indeed, for the gods to become actually incarnate in the realm of space and time is utterly repugnant to the Greek mind. On the other hand that which is non-historical is relegated to the level of falsehood by the Hebrew. This radical opposing view of history is essential to understanding the Jewish-Greek antithesis with respect to the question of myth. Perhaps nothing has contributed more to the loss of credibility of Scripture than the conflicts between religion and science that have come out in the scientific and technological revolution. We remember the condemnation of Galileo and the circus atmosphere of the Scopes “Monkey Trials.” Galileo was condemned for teaching that the sun was the center of our solar system (heliocentricity) over against the accepted view that the earth was the center (geocentricity). The bishops of the church in Galileo’s day refused to look into his telescope and examine the empirical evidence that the earth is not the center of our solar system. The church is still feeling the embarrassment of that episode. Some argue that the Bible teaches a view of reality that is utterly in conflict with the assured results of modern scientific inquiry. Some allege that the Bible teaches a primitive, prescientific view of the universe which is no longer tenable to modern man. The Bible describes the universe as being “three-storied” with heaven above, the earth in the middle, and hell underneath the earth. It describes a world of demons and angels which is considered in conflict with modern theories of physics and biology. How does the Christian respond to such allegations? In the first place, it must be acknowledged that the church indeed has made grievous errors in drawing scientific inferences from Scripture that are unwarranted. Nowhere does the Bible “teach” that the earth is the center of the universe. The Scripture describes nature from a phenomenological perspective. That is, the world of nature is described as it appears to the naked eye. The sun is described as moving across the heavens. The Bible speaks of sunrises and sunsets. And in popular speech modern scientists still speak in the same manner. One only needs to observe the daily weather forecast to see this taking place. The weather report, or “meteorological” survey, is couched in technical scientific jargon. We hear about high pressure systems, barometric pressure, precipitation probability quotients, and the like. Yet at the end of the forecast we are told that the sun will rise at a given time and will set at another time. We do not phone the news station and angrily demand that such antiquated notions of geocentricity be deleted from the weather forecast. We do not charge the scientists with being unscientific when the describe things phenomenologically. We shouldn’t do that with the biblical writers either. That the Bible speaks of a demonic world is evident. The Bible does not, however, teach that diseases and other mysterious maladies are caused by demonic activity. The Scriptures recognize and endorse the practice of medicine. I might add that the notion of the existence of a demonic world conflicts with no known natural scientific law. The Bible is not a textbook of science. It does not purport to instruct us in matters of calculus, physics, or chemistry. There are times, however, when serious conflicts do emerge between theories inferred from science and biblical teaching. If, for example, a scientist concludes that the origin of man is a cosmic accident, then the scientist holds a position that is antithetical to the teaching of Scripture. But the question of man’s origin can never be determined by the study of biology. The question of origin is a question of history. The biologist can describe how things could have happened, but can never tell us how they did happen. People accept without hesitation the charge that the Bible is full of contradictions. Yet the charge is completely inaccurate and misleading. Why, then, if the charge is so inaccurate, do we hear it so often repeated? Apart from the problem of prejudice, there are reasons why this misconception is propagated. There is a problem not only of ignorance of what the Bible says, but perhaps even more so, a problem of ignorance of the laws of logic. The word “contradiction” is used all too loosely with respect to biblical content. That there are divergences of biblical accounts, that biblical writers describe the same things from different perspectives, is not in dispute. Whether, those varied accounts are, in fact, contradictory is in dispute. It would be a serious overstatement to say that all discrepancies within the biblical text have been easily and satisfactorily resolved. There are serious discrepancies that have not yielded full and satisfactory resolutions. But these problems are few and far between. To say that the Bible is full of contradictions is a radical exaggeration and reflects a misunderstanding of the law of contradiction. For example, critics have alleged repeatedly that the Gospel writers contradict each other with respect to the number of angels present at the tomb of Jesus. One writer mentions one angel and the other mentions two angels. However, the writer who mentions one angel does not say there was only one angel. He merely speaks of one angel. There is no contradiction in that. Now, if one writer said there was only one angel and the other writer said there were two, at the same time and in the same relationship, there would be a bonafide contradiction. The problem of the loose use of the word contradiction came home to me in a discussion I had with a seminary student. He repeated the charge, “The Bible is full of contradictions.” I said to him, “The Bible is a large book. If it is full of contradictions you should have no problem finding 50 clear violations of the law of contradiction in the next 24 hours. Why don’t you go home and write down 50 contradictions and we’ll discuss them at the same time tomorrow.” He accepted the challenge. The next day he returned bleary-eyed with a list of 30 contradictions. He admitted that he had work long into the night and could come up with only 30. But he presented me a list of the most blatant contradictions he could find. 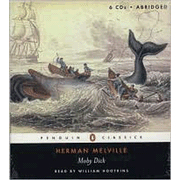 (He made use of critical books that listed such contradictions.) He went through his list, one at a time, applying the test of formal logic to each alleged contradiction. We used syllogisms, the laws of immediate inference, truth tables, and even Venn diagrams to test for logical inconsistency and contradictions. In every single incident we proved objectively, not only to my satisfaction, but to his, that not a single violation of the law of contradiction was made. Not every biblical discrepancy has been resolved. But the direction of the evidence is very encouraging. As biblical scholarship increases and knowledge of language, text, and context increases, the problem of discrepancy becomes smaller and smaller. There is less reason today to believe that the Bible is full of contradictions than at any time in the history of the church. Prejudice and critical philosophical theories, however, die a very slow and hard death. Is The Bible Inaccurate Historically? If any area of biblical scholarship has given us reason for optimism concerning the reliability of Scripture, it is the area of historical investigation. To be sure there are certain dimensions of biblical content that are difficult to either verify or falsify by means of historical research. For example, the existence of angels can hardly be verified through archaeological research. Unless we can dig up some petrified angel wings we must deal with these matters on other grounds. But where biblical material touches on areas where historical research is possible it has come out remarkably well. Twentieth-century discoveries such as those at Ugarit, Qumran and Ebla have done much to enhance our understanding of antiquity. The Nuzi tablets and the Armana tablets have resolved a host of Old Testament problems. The work of Ramsey tracing the journeys of Paul recorded by Luke has so vindicated Luke’s accuracy as a historian, that modern historians have called him the finest historian of antiquity. The biblical historians have fared considerably better under close scrutiny and critique than have other ancient historians such as Josephus and Herodotus. For much too long a time the course of New Testament scholarship has been dedicated to theological, quasitheological, and philosophical presupposition. In far too many cases commentaries on New Testament books have neglected such basic requirements as up-to-date historical and philological analysis of the text itself. In many ways this preoccupation with theological and metaphysical interpretation is the unacknowledged child of Hegelianism. To this should be added the continuing and baleful influence of Schleiermacher and his successors on the whole treatment of historical material. The result has often been steadfast refusal to take seriously the findings of archaeological and linguistic research. We believe that there is less and less excuse for the resulting confusion in this latter half of the twentieth century. Closely allied with these presuppositions is the ever-present fog of existentialism, casting ghostly shadows over an already confused landscape. 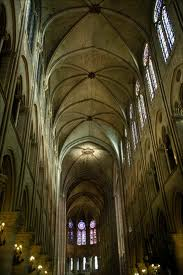 Existentialism as a method of interpreting the New Testament is based upon a whole series of undemonstrable postulates of Platonic, Neo-Platonic, left-wing scholastic, and relativistic origins. So anti-historical is this approach that it fascinates speculative minds which prefer clichés to factual data, and shifting ideology to empirical research and logical demonstration (W.F. Albright and C.S. Mann, Matthew, Anchor Bible Series, New York, Doubleday, 1971, vol. 26, 5-6). Why Is Some of the Bible Offensive? In such reactions to the Old Testament, we find serious misunderstandings of the wrath of God. Nowhere do we find God involved in capricious or arbitrary acts of judgment. His wrath is never directed against the innocent. His anger never flows without reason. It is always directed against human rebellion and sin. It is ironic that the two Testaments are so often placed in contrast to each other. The irony may be seen in light of the cross. It is the cross of the New Testament that reveals the most violent and mysterious outpouring of the wrath of God that we find anywhere in the Scripture. 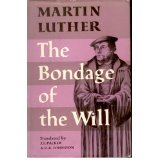 Here an innocent man does suffer but only after he willingly takes upon Himself, by imputation, the sins of the world. Without this act of wrath there is no grace. But it is precisely through this act of wrath that grace is made available. The New Testament knows no disjunction between the God of Jesus and the God of Abraham. Jesus appeals to the God of the Old Testament fathers as the God He is serving and revealing. When we examine the law code of Israel, however, do we not see a legal ethic that is in fact bloodthirsty? Does not this list of over 35 crimes which require capital punishment reflect a barbarian ethic? Are not the punitive measures of the Old Testament manifestations of what we would regard as cruel and unusual punishment? The law code of the Old Testament seems harsh to us in light of our present societal standards. But we live in an age where serious sin is not taken seriously. We live in an age where the holiness of God and the sanctity of human life have been sadly eclipsed. If we compare the law of the Old Testament with the law of creation, we see not the cruelty of God but the mercy of God. In creation all sin against God is regarded as a capital offense. In the slightest act of rebellion we commit cosmic treason. Any sin against a perfectly holy and righteous God may justly culminate in death. This the Old Testament law represents a massive reduction of capital crimes which reveals not the bloodthirsty vengeance of an angry God, but the long-suffering mercy of a holy and loving God. It is precisely at the point of offense in Scripture that we meet a special opportunity for supernatural instruction. By studying the parts of Scripture that are offensive to us we have the opportunity to discover those values and concepts we hold that are out of harmony with the wisdom of God. If we are offended by the Bible perhaps the fault is not with God but our own corrupt and distorted sense of values. I wonder what would happen if we called a moratorium on our criticism of the Bible and allowed the Bible to criticize us! It is one thing to argue that the Bible is a basically reliable source of history and religious instruction; it is quite another thing to assert that the Bible is inspired, inerrant, and infallible. It is one thing to maintain that the Bible has great value as a treasury of human insight into religious truth; it is quite another to maintain that it provides us with divine revelation and can justly be called the Word of God. Why do Christians go beyond asserting general reliability of the Bible to conviction that the Bible is the infallible Word of God? What follows is not an attempt to present an argument for the infallibility of Scripture, but rather an attempt to outline the procedure by which such a conclusion is reached. It is beyond the scope of this article to provide a defense of biblical infallibility. Rather the aim is to explain and clarify the process by which the conclusion is reached. Premise D – Jesus Christ teaches that the Bible is more than generally trustworthy; it is the very Word of God. Premise E – The word, in that it comes from God, is utterly trustworthy because God is utterly trustworthy. Note that this progression does not involve circular reasoning. Circular reasoning occurs when the conclusion is already present in the first presence. Rather this method follows the linear pattern of development. The argument itself is not infallible as each premise involves matters of inductive or deductive reasoning that is done by fallible human beings. But there is no subjective leap of faith found in the method. Rather the process involves careful historical, empirical investigation as well as logical inferences. That the Bible claims to be the Word of God is not enough to authenticate the claim. Any book can make such a claim. But the fact that the claim is made is significant indeed. If the Bible is trustworthy then we must take seriously the claim that it is more than trustworthy. If we are persuaded that Christ is the sinless Son of God then we must take seriously His view of Holy Scripture. If the church submits to the authority of Christ then it must regard His view of Scripture as being authoritative. It is from the impetus of Christ Himself that the church is led to confess her faith in the divine authority and infallibility of Scripture. 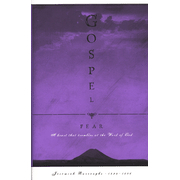 We believe the Holy Scriptures of the Old and New Testaments to be the inspired and inerrant Word of God: We hold the Bible, as originally given through human agents of revelation, to be infallible and see this as a crucial article of faith with implications for the entire life and practice of all Christian people. With the great fathers of Christian history we declare our confidence in the total trustworthiness of Scriptures, urging that any view which imputes to them a lesser degree of inerrancy than total, is in conflict with the Bibles’ self-testimony in general and with the teaching of Jesus Christ in particular. Out of obedience to the Lord Jesus Christ we submit ourselves unreservedly to his authoritative view of Holy Writ. Why should you trust the Bible? You should trust the Bible because the Bible has been proven trustworthy. (1) The Bible does not have a mythical literary style as compared with other ancient literature. The frequent charge that the Bible is “full of myths” is not warranted by the facts. People should be encouraged to read the biblical accounts of miracles, the flood, and other controversial areas and compare them with other ancient sources that do use mythology as a literary style. (2) Jewish-Christian history differs from the Greek view. This significant difference is a crucial one to understand before we evaluate the historical credibility of the Bible. (3) The Bible is not a science text but describes the world as it appears to the naked eye. Biblical “conflicts” with science must be understood in terms of common-sense approaches to the “phenomenal” world. The concept of phenomenological description is important to master to be able to deal with this question. We should learn from the church’s mistakes in the past—such as the case of Galileo. (4) Variant accounts are not the same as contradictory accounts. The charge that the Bible is “full of contradictions” is unwarranted. An understanding of the Law of Contradiction is vital to this question. Close scrutiny of biblical texts will show a difference between variant accounts and contradictory accounts. (5) Modern historical research adds to biblical credibility. Historical research and archaeology have done much to vindicate the historical reliability and accuracy of the Bible. Important discoveries at Qumran, Ebla, Amarna and elsewhere have exploded the “assured results” of negative nineteenth-century criticism. 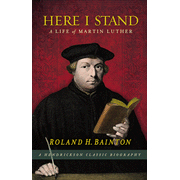 (6) The church’s faith in the infallibility of Scripture is established on the basis of Christ’s view of Scripture. It involves a reasoning process which is linear, not circular. It moves from general reliability to a knowledge of Christ’s “infallible” view of Scripture. Tags: Answering Objections to Inerrancy, biblical credibility, Christian Objections Answered, Does the Bible Conflict with Science?, Dr. R.C. 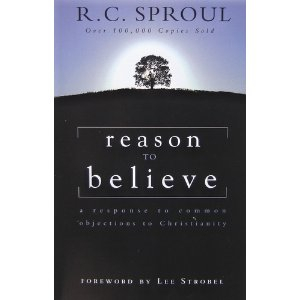 Sproul, Is the Bible Filled with Contradictions?, Is the Bible Full of Myths?, Is The Bible Inaccurate Historically?, Isn't the Bible full of fairy tales?, R. C. Sproul, Reason to Believe, Sproul, W.F. Albright, Why Is Some of the Bible Offensive? *Dr. R.C. 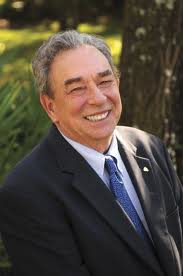 Sproul is the founder and chairman of Ligonier Ministries, an international Christian education ministry located near Orlando, Florida. His teaching can be heard on the program Renewing Your Mind, which is broadcast on hundreds of radio outlets in the United States and in 40 countries worldwide. He is the executive editor of Tabletalk Magazine and general editor of The Reformation Study Bible, and the author of more than seventy books (including some of my all time favorites: THE HOLINESS OF GOD; CHOSEN BY GOD; KNOWING SCRIPTURE; WILLING TO BELIEVE; REASON TO BELIEVE; and PLEASING GOD) and scores of articles for national evangelical publications. 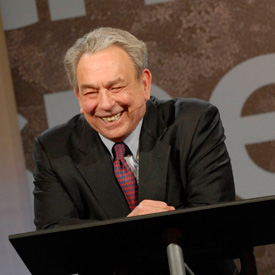 Dr. Sproul also serves as president of Ligonier Academy of Biblical and Theological Studies and Reformation Bible College. He currently serves as Senior Minister of preaching and teaching at Saint Andrew’s in Sanford, FL. I believe that his book The Holiness God will stand the test of time as a classic for generations to come. Next to the Bible no other book has influenced me more in my understanding of God, sin, and my own need of salvation and sanctification. 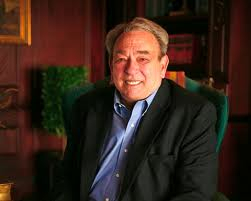 I am forever indebted to Sproul’s influence in my life in helping me understand more than anyone else the importance of knowing the nature, character, and attributes of God, and how they impact every aspect of life. The quest for the meaning of life was a troublesome problem for me from an early age. The “why” questions were the ones that gripped my mind—not so much physical questions but metaphysical questions. Many children are fascinated by “how” things work. They may even pester their parents with questions like, What makes a car run? How does a clock work? How does a seed turn into a flower? I had childhood friends like that, forever tinkering with cars and lawnmowers and skeletons. Some became engineers, some doctors, one a geologist and one a physicist. But I was bored with those questions. I knew they were very important questions, but they simply were not the ones on my mind. As a youth I had two consuming passions. One was sports and the other the “why” questions. I saw no relationship between them at the time but in present reflection I think I can see how they fit together in my own circumstances. I was a wartime child. The earliest question that plagued me was the question of war. I wanted to know why there were wars. They seemed pretty silly to me at the age of four. I couldn’t sit at a table and resolve their differences without using tanks and bombs and ships. Of course I had a personal vested interest in the question. What the war meant to me personally was the absence of my father. From the age of two to age six my father was a picture of a man in uniform. He was the one who wrote air letters to us. He was the one my mother talked about and typed letters to every night. She let me punch the X and O keys at the end of every letter. For some strange reason none of my childhood friends’ fathers were away at war. I kept wondering, “Why does everyone else have a dad at home and I don’t? The plaguing question of war evaporated for me with a happy ending. Playing stickball on the streets of Chicago I was startled by a sound of people screaming and beating on pots and pans. I watched them hug each other and behave in a strange manner. I was upset that their antics interrupted the stickball game until I understood what it was all about—V.J. Day, 1945. The full implications of their jubilation did not hit me until I stood in a railroad terminal that looked as if it was filled with a million men in uniform and a lot of weeping women. Then the troop trains came in. In the midst of a multitude of soldiers who all looked the same, one of them caught my eye. Fifty feet away he dropped his duffle bag, dropped to his knees and threw open his arms with a flashing grin on his face. I broke from my mother’s hand and covered fifty feet in Guinness record time. Dodging servicemen and running around duffle bags I flew into the arms of my father. The war didn’t matter anymore. Then came school. From day one I didn’t like school. It is still something of a mystery to me how I ever ended up in an academic vocation. I remember walking to school on Mondays dreaming about Fridays. The thought that plagued me was why do I have to go to school five days a week and get to play only two? It didn’t make sense to me. My father’s schedule looked even worse. It seemed like he was always working. I wondered what life was all about when you had to spend so much time doing what you don’t like so you could spend so little time doing what you do like. I was a good student but my heart wasn’t in it. Sports were my passion. Sports made sense to me. I took a sensuous and intellectual pleasure in them. I liked the feel of my body responding to action moves: dodging a would-be tackler, driving through the key for an “unmakeable” lay-up; skirting across the bag at second and firing to first for a double play. I was consumed by sports. I read every book in the town library on sports. I was a walking encyclopedia of sports “trivia.” My hero was the fictional Chip Hilton. He excelled at everything; he was a pristine model of fair play; he was a champion. Practice for sports was never work. I was never so tired that I wanted practice to end. I loved every second of it. There was a reason for practice. The game. Victory. The game had a starting point, a goal, and an end point. Victory was a real possibility; defeat never entered my mind. When we were behind my thoughts were never “What if we lose?” but rather, “How can we win?” Like Vince Lombardi, I never lost a game but just ran our of time on a few occasions. My coaches were my real life idols because they always pointed ways to victory. We would be willing to die for them on the field as a matter of obvious course. But something happened that changed all that and changed me so radically that I’m not over it yet. I was 16 years old when my mother came to me and said, “Son, your father has an incurable disease. There is nothing the doctors can do for him. You can still play some sports but you’ll have to cut back and get a part time job. Dad is dying and you have to be the man of the house.” I took the message outwardly with stoic heroism. Inwardly I was enraged. I could not believe there was something as an unsolvable problem. We won the war, didn’t we? We always found a way to win ball games. Why can’t we beat this? There must be a cure. The doctors are wrong. But there was no cure. The doctors were right. Dad didn’t die right away. He died a day at a time. Every night I fireman-dragged his emaciated body to the dinner table. Two weeks earlier if had said that to me I would have loved him for it. Now I wanted to scream at him, “You idiot!” Don’t you know this stuff doesn’t matter at all!” Practice was misery. The games became a nightmare. Sports, like life, were an exercise in futility. Chip Hilton was a myth and life a bitter joke. When the referee blew his whistle and called a foul I pushed his whistle in his mouth. When the umpire called me out I took a swing at him. Bitter, frustrated, confused, I knew only defeat. Now there was no way to win. I quit. The last time my father fell I picked him up and carried him to bed, unconscious. Twenty hours later he was dead. No tears from me—no emotion. I “quarter-backed” the funeral arrangements. When we put him in the ground my soul went under with him. The next year was a year of unrestrained degeneracy. (Anger can do a lot of things to a young man.) I became the paradigm of the angry young man. In junior high I graduated second in my class, legitimately; from senior high I was one hundred fifty-seventh by every crooked means available. Sandlot football won me a scholarship to college. Then came radicalizing number two. One week on campus and my life was turned upside down again. The star of the football team called me aside and told me about Jesus. I couldn’t believe this guy. In my eyes ministers were “pansies,” and “Christian” was a synonym for “sissy.” I don’t remember what he said to me; but it drove me to the New Testament. Truth breathed from every page. It was my virgin experience with the Bible. It was a spiritual experience of revolution. I always knew there was a God but I hated Him. In this week my anger and bitterness dissolved into repentance. The result was forgiveness and life. It would perhaps be appropriate to relate a story of coming to Christ via the route of intellectual inquiry. But that’s not how it happened with me. The intellectual drive came later. For one year I had a consummate passion to learn the Scriptures. I couldn’t understand why everyone didn’t believe them. Most of my professors were skeptics. The campus atmosphere was mostly secular. I was quickly faced with every conceivable objection to Christianity. I was most vulnerable, in light of my past history, to the charge that my faith grew out of my emotional trauma and psychological need for Jesus to be my “Father” and to give me hope in my despair and bitterness. I wasn’t a Christian long until I had to face the question squarely: Was my conversion rooted in objective reality or was it merely an expression of my own subjective needs? I began to experience what Saint Augustine called, “Faith seeking understanding.” Thus I turned my attention to the study of philosophy as my major academic pursuit. The study of the history of philosophy exposed me to virtually every serious alternative to Christianity the world has brought forth. I began to see the bankruptcy of secular world views. I found valuable insights in Spinoza, Kant, Sartre, and others. But no one seemed to have a consistent and coherent life and world view. The philosophers themselves were their own best critics. Hume critiqued Locke; Kant critiqued Hume; Hegel critiqued Kant, and so on it went. There emerged no “sure results” of speculative thought. The study of philosophy did provide very important tools for critical analysis which proved very helpful for my own pilgrimage. The more I studied philosophy the more intellectually credible and satisfying Christianity became. After college came seminary. Naively I expected seminary to be a citadel of scholarly interpretation and defense of Christianity. Instead I found it to be a fortress of skepticism and unbelief. A negative posture toward classical Christianity prevailed which exposed me to a wide variety of contemporary critical theories that rejected orthodox Christianity. Thus seminary exposed me to a wide variety of scholarly criticisms of the Bible. This forced me to face the question of the trustworthiness of Scripture. Fortunately I was blessed with two crucial support systems. On the one hand I was well enough equipped with the tools of analytical philosophy to spot the philosophical assumptions that the negative critics were using. Through philosophical tools I was able, to some degree, to critique the critics. I was intellectually unimpressed by the weak philosophical assumptions of the “liberal” professors. On the other hand I was fortunate to study under one professor who did affirm classical Christianity. He was our toughest professor and most academically demanding. His “bear-trap” mind and singular ability for “close” and “tight” reasoning impressed me. He seemed to tower over the rest of the professors both in knowledge and analytical brilliance. From seminary I went on to a doctoral program in Europe. It was a difficult and exhilarating experience. Almost al of my work had to be done in foreign languages which required a new kind of intellectual discipline for me. Studying under G. C. Berkouwer of the Free University of Amsterdam exposed me to all the latest theories of theology and biblical studies. The European system exposed me to the method of approaching theology and biblical studies as a technical science. Studying the primary sources in original languages such as Dutch, German and Latin gave new tools for scholarship. From Europe I returned to America and began my teaching career. Teaching in both college and seminary I had an unusual pattern of teaching assignments. At one college I taught almost exclusively in the field of philosophy. In another college I was responsible to teach theology and biblical studies. My first seminary appointment had me teaching philosophical theology which combined both philosophy and theology. Oddly enough I was also asked to teach New Testament theology. In an age of specialization I was forced into being a “generalist,” working in several different but related fields. The science of apologetics which offers intellectual defense of the credibility of Christianity finally became my point of “specialty.” That is usually what happens to generalists. My training was not in a conservative “hothouse.” I have been through the gamut of liberal scholarship. I am a first-generation conservative—by conviction, not heritage or training. 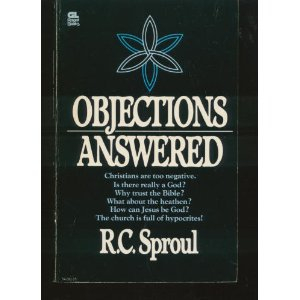 *This article was published in the Introduction to the book Reason To Believe (originally published in 1978 as Objections Answered) by R. C. Sproul, pp. 11-18. Dr. R.C. Sproul is the founder and chairman of Ligonier Ministries, an international Christian education ministry located near Orlando, Florida. His teaching can be heard on the program Renewing Your Mind, which is broadcast on hundreds of radio outlets in the United States and in 40 countries worldwide. 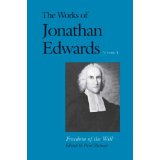 He is the executive editor of Tabletalk magazine and general editor of The Reformation Study Bible, and the author of more than seventy books (including some of my all time favorites: THE HOLINESS OF GOD; CHOSEN BY GOD; KNOWING SCRIPTURE; REASON TO BELIEVE; and PLEASING GOD) and scores of articles for national evangelical publications. 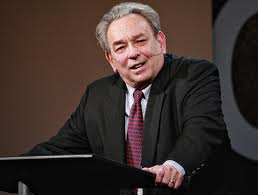 Dr. Sproul also serves as president of Ligonier Academy of Biblical and Theological Studies and Reformation Bible College. He currently serves as senior minister of preaching and teaching at Saint Andrew’s in Sanford, FL. (The picture to the left was taken approximately around the time of Sproul’s conversion as a College student).